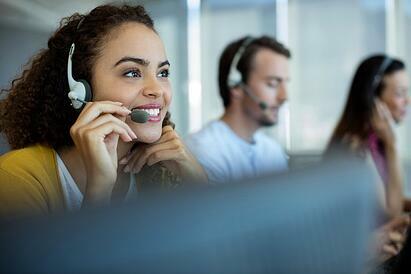 There has been a change in selection and training for many contact centers. 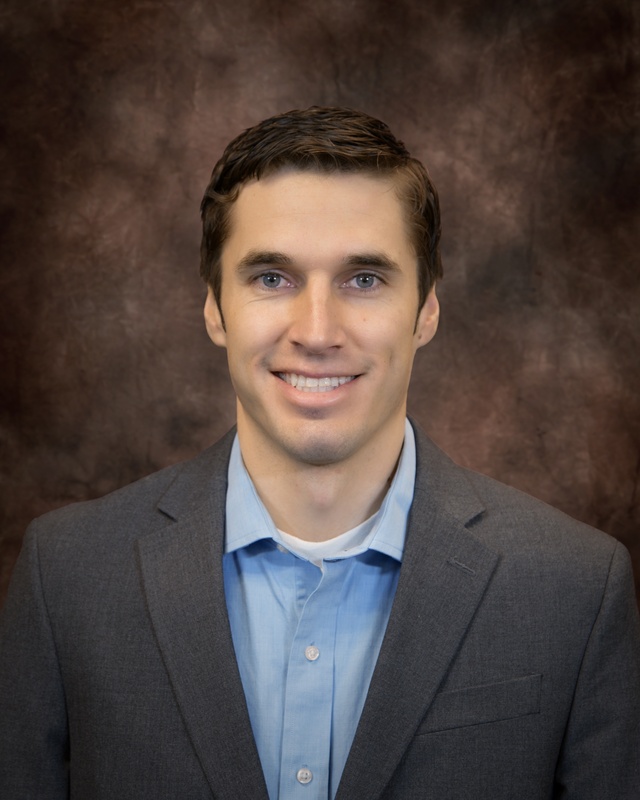 Though many are focused on how to improve call center customer service, there is now a shift toward sales as the top priority with customer service becoming a secondary priority. In a survey conducted by the International Customer Management Institute, researchers found that 47.3% of respondents say their contact center does some type of selling, cross-selling, and/or up-selling to customers. While the debate rolls on, it is always a good idea to back up theories with some statistical evidence. Select International recently conducted a meta-analysis (a study of multiple studies) on contact center metrics. Studies included in the meta-analysis contained samples from large hotel & leisure and telecommunications organizations. Metrics from an online hiring assessment and call center performance were analyzed for the relationships between several competencies. Two of the competencies examined were Customer Service and Sales Focus. The figure displays a comparison between these two competencies and four different call center performance metrics: productivity, quality, revenue, and overall performance. A statistical correlation can range from -1.00 to 1.00. The closer the value is to -1.00 or 1.00, the stronger the relationship; the closer the value is to zero, the weaker the relationship. Note: The sample-weighted validity coefficients reported here are corrected for statistical artifacts. Sales Focus has a much stronger relationship with the Productivity and Revenue metrics than Customer Service. This makes theoretical sense because representatives that test higher for Sales Focus will seek higher revenues and will need to increase their work speed to obtain those higher revenues. Customer Service has a stronger correlation with the Quality metric. This also makes sense as those who place a higher value on Customer Service will likely put more effort into each call and receive higher quality scores from customers. Sales Focus has a slightly stronger correlation than Customer Service for overall performance. This might be the key metric that settles the debate. 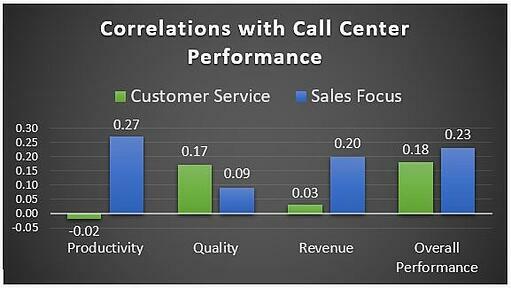 Though Customer Service has a weaker correlation with overall performance, it was still moderately correlated. Therefore, it should not be removed from the selection criteria. In summary, which competency is more important? Well, it depends on where the stakeholders see the most value. Regardless of preferences, the results from the meta-analytic data present a strong argument to at least include both competencies in the discussion when designing and developing selection and development strategies in call centers.